The Dalada Maligawa, also known as, the Temple of the Tooth, is one of the landmark sites in the city of Kandy. 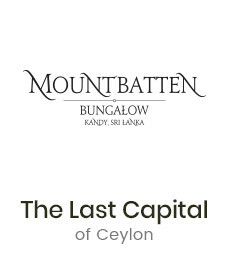 It is located in the heart of Kandy town surrounded by the lake and the commercial district. The Maligawa was once the royal palace inhabited by the king and his consorts, but after the demise of the Kandyan Kingdom the palace was transformed into a Buddhist temple that holds Buddha’s tooth. It is a must visit location for all tourists. Visitors can catch a glimpse of Buddhist rituals, explore the museum that includes several ancient artifacts, and pay your tribute to the tooth relic at one of the Buddhist ceremonies held at the premises. The architectural splendor and the historical importance of the Dalada Maligawa are sure to amaze you. Points of interest are: the Aluth Maligawa, Audience Hall and the World Buddhism Museum. Before preparing your visit keep in mind that the Maligawa is a Buddhist shrine and you will need to wear attire that covers your shoulders and legs.